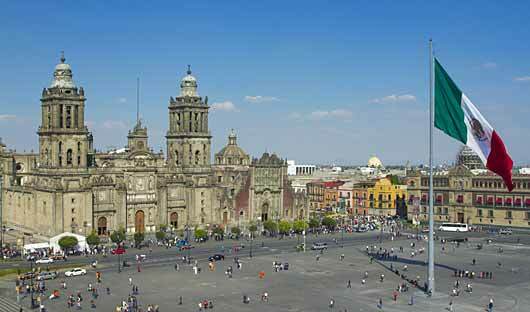 Arrive Mexico City, set in a highland basin surrounded by towering mountains, Mexico City is like a vast living museum covering 3,000 years of human cultural achievement. Explore the city on a full day tour visiting the main plaza (Zocalo) built over an Aztec temple complex, the National Palace with the famed mural paintings by Diego Rivera, and the Metropolitan Cathedral, the largest church in Latin America. Also see the beautiful Palace of Fine Arts, noted for its murals and stain glass. Continue to the Museum of Anthropology, with a collection of pre-Hispanic art representing the most important of the Mexican cultures, including those of the Aztec, Zapotec, Mixtec, Toltec and Mayan civilisations. Spend the following day with your personal local guide to Teotihuacan and Sun and Moon Pyramids. The ancient ruins of Teotihuacan, often referred to as the City of the Gods preserves the remains one of the most important civilizations of Mesoamerica. Walk along the ‘Avenue of the Dead’ to the Pyramid of the Sun, the third largest pyramid in the world. Also see the smaller Pyramid of the Moon and the impressive Temple of Quetzalcoatl. On the way back to your hotel head to the Shrine of Our Lady of Guadalupe, the most visited religious site in Latin America. This small luxury boutique hotel located on a tree-lined street is nestled in a quiet corner of Parque Mexico, in the hip Condesa neighbourhood; Hippodrome has a private almost secret atmosphere about it. 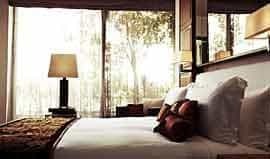 The 16 chic guestrooms have wooden floors, luxury beds and all the amenities you would expect in a luxury hotel. Some rooms come with living areas, and some add furnished terraces. A 2-bedroom suite features marble bathrooms. There’s also a rustic-chic, sophisticated restaurant, wine cellar and a sleek bar. Located in the ritzy Polanco district, the Las Alcobas is near some of the city’s best restaurants and bars. The hotel has 35 guest rooms offering goose down bedding, bathrooms with hydro-massage of chromo-massage baths plus your selection of natural hand-made soaps to bathe with. There is also a spa facility to relax and unwind. 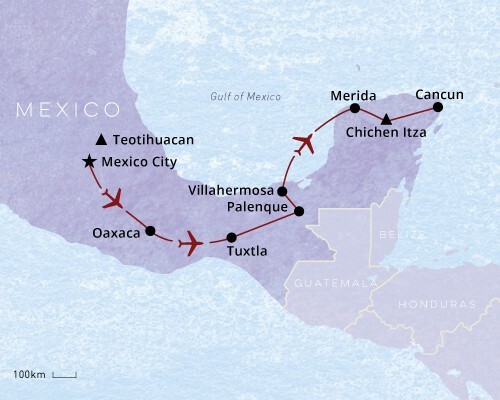 Fly to Oaxaca, an attractive and colourful city. The streets in the historic centre are lined with superb examples of Spanish colonial architecture. 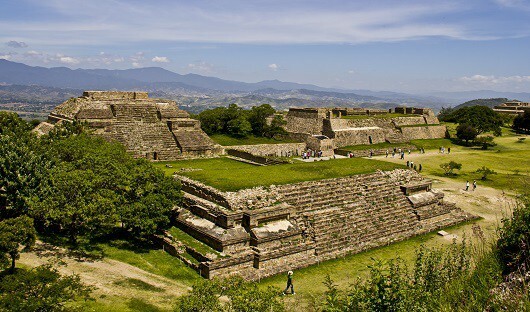 Spend a full day with your local guide exploring the UNESCO World Heritage site of Monte Albán, one of Mexico’s most spectacular archaeological sites with wonderful 360-degree views over the city, valleys and distant mountains. Embark on the Tule Tree & Mitla excursion which takes you to the Mesoamerican site of Mitla featuring exquisite architecture and stone mosaics. Continue to the ancient Tule tree, approximately 2,000 years old and claimed to be one of the largest trees on earth. 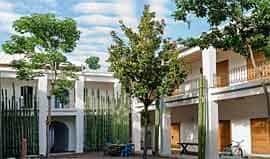 Located in central Oaxaca walking distance from the major sites, this modern hotel was designed by five well-known local artists and offers a quite refuge from the busy streets of Oaxaca. The restaurant serves traditional Oaxacan cuisine which can be enjoyed on the patio or rooftop terrace with brilliant views of the city. Most of the 21 rooms are situated around the tranquil inner patio, the central focus of which is an installation art piece by Oaxaca’s most famous artist, Francisco Toledo. The hotel also has five suites, each uniquely designed by one of the five artists. 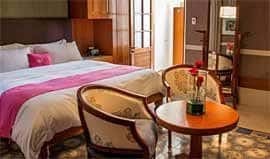 Set in the grounds of the 16th Century Santa Catalina nunnery, with inner courtyards and thick stone brickwork, the hotel has a tranquil feel about it. The walls are dotted with original frescos and many of the early features such as the nuns’ washing fountains remain. Under the hotel are tunnels leading to the two of the main churches of Oaxaca. 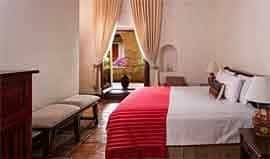 The hotel’s location is in the heart of central Oaxaca close to many restaurants and sightseeing. The rooms are grand, with slated wooden ceilings, dark-wooden furniture, tiled floors and local handicrafts. There are two gardens as well as a large, heated swimming pool surrounded by grass; a great place to relax after sightseeing. 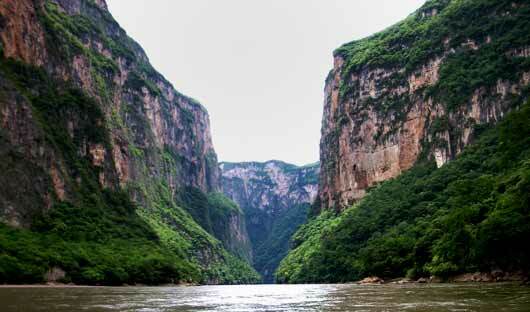 Fly to Tuxtla Gutierrez, where you will be transferred to the port and taken on a boat trip down the Grijalva River to see the impressive Sumidero Canyon. Continue to the highland colonial town of San Cristobal de las Casas, with its cobbled streets, red-tiled roofs and opulent churches. Start the following day with a guided walking tour to the colourful market and the colonial centre before driving to the surrounding indigenous villages each with their own distinct style of custom, regional dress and of worship. Spend the night in San Cristobal. This luxury boutique hotel is modern and architecturally unique and is located in the centre of the city. The 22 elegant rooms are decorated with neutral décor offset by colourful Mexican bed covers. The bathrooms, set apart from the bedroom by a sliding wood door, are clean, modern and fresh with Etro amenities. 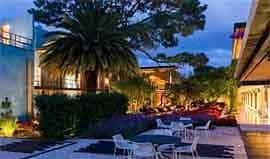 The hotel’s garden is as carefully designed as the rooms, with a large central feature tree with sundecks and water features that offer a quiet respite from the city. There is also a small gym to enjoy during your stay and a library loft, which is perfect for enjoying a good book. The food at Hotel Bo’s restaurant LUM, looks as good as its décor and offers impressive fusion flavours, using only the freshest local ingredients. Drive to Palenque via Tonina, a pre-Columbian archaeological site and ruined city of the Maya civilization located in what is now the Mexican state of Chiapas. 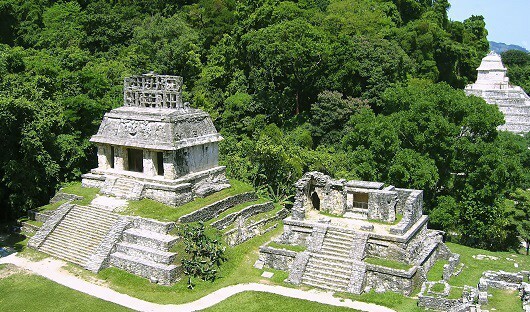 Visit the ruins of Palenque, situated on the fringe of the Chiapas jungle. The fascinating Mayan ruins you see here today date from the empire’s peak in the 7th century and represent only a small percentage of the spectacular complex of palaces, temples and terraces still to be excavated. 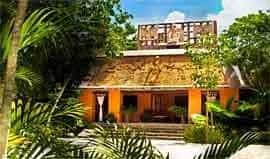 This hotel is located in Palenque set in a tropical garden. The 92 guestroom are airy and have pool or garden views and feature flat-screen TVs and safety deposit boxes. The hotel has a casual restaurant, 2 infinity pools and garden hammocks, plus a cocktail bar and a traditional Mayan Temazcal spa. Drive to Villahermosa and fly to Merida, the capital city of Yucatan State, and known as the ‘White City’ because of the extensive use of white limestone. It is a lively and friendly city and on most evenings there are Mariachi bands playing and other cultural events taking place at the various plazas around the city. Tour to ancient Mayan ruins of Uxmal, one of the first sights to be seen as you enter the ruins is the House of the Fortune-teller, a magnificent oval temple standing 39m high. Visit the Nuns’ Quadrangle, the House of Governers and the House of the Turtles before continuing on to the smaller ruined city of Kabah, the most important regional city after Uxmal. 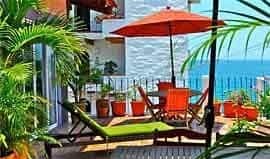 Casa Lecanda is a small boutique hotel located within the historical centre of Merida, just steps away from some of Merida’s best restaurants and bars. The building is a 100-year-old restored house that has been designed to retain the original sense of a home. With just 7 rooms it is a peaceful haven away from the bustling city of Merida. The hotel has an internal swimming pool surrounded by elegant white arches and offset by lush green foliage. 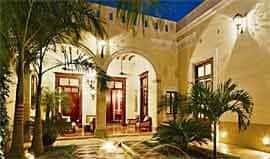 The arches and Moroccan-style lighting give the building a Moorish, almost Kasbah-like feel. The hotel has a Wine & Tequila bar where you can relax and enjoy a drink. This boutique hotel has been designed and restored from two colonial mansions with vibrant pink walls and beautiful design touches, Rosas & Xocolate is for people who like unique and interesting hotels. The rooms are spacious with high ceilings, brightly-tiled floors and each one boasts an outside private bathtub. Art from both local and international artists can be found throughout the hotel, many of the pieces installed to feel like part of the hotel rather than separate pieces of art. The downstairs restaurant serves contemporary fusion dishes, while the rooftop Moon Lounge is the perfect place for dark chocolate martinis, lounge music and a view of the stars. 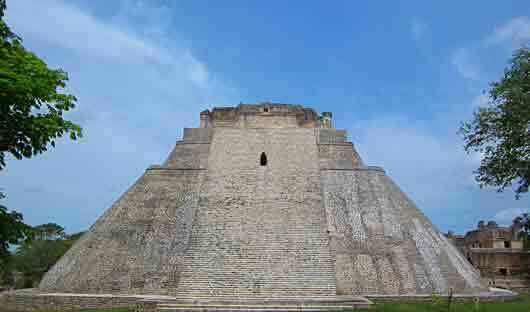 Drive from Merida to Chichen Itza, the most spectacular Mayan ceremonial centres. 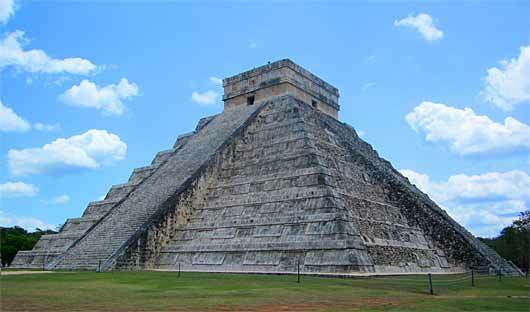 Admire the Temple of Kukulcan, the Red Jaguar Throne, the Temple of Tigers, the Ball Court and the Observatory. After the tour continue by road to the Riviera Maya, a stretch of Caribbean coastline on Mexico’s northeastern Yucatan Peninsula. 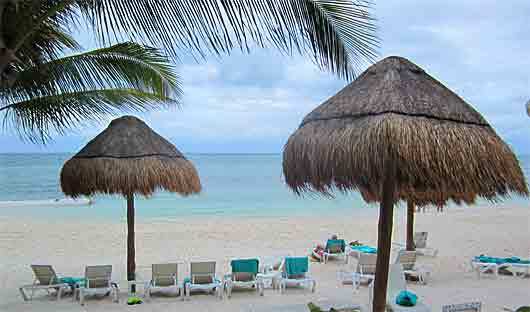 Spend the following day at leisure at the Riviera Maya. 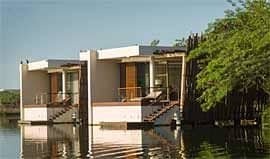 The Rosewood Mayakoba is set in 1,600 acres of lush jungle and a tranquil lagoon that reaches the white sands of Mexico’s Caribbean. The 128 suites and villas are spread out around the resort, offering a high level of privacy in each one. All rooms have outdoor areas and private plunge pools and circular indoor bathtubs. The hotel has a spa with steam rooms and saunas. Take the relaxation up a notch by indulging in one of the many treatments for the mind, body and spirit offered by their top-class therapists. The beach front infinity pool may also help you relax and forget about the outside world. The resort’s three restaurants offer a mixture of casual and fine dining. 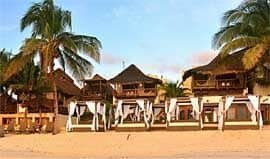 Be Tulum is a rustic-luxury boutique hotel located on the beachfront of Tulum. This charming hotel has 20 guestrooms scattered throughout the trees all the way down to the beachfront bar. 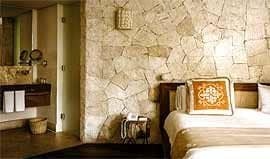 The suites at Be Tulum offer a kind of rustic luxury. Natural materials such as bamboo, leather and stone are combined with all mod cons to give a laid-back, jungle luxury feel. Every suite either has a plunge pool or acuzzi. The pool bar and beachfront restaurant are a great place to relax and have a meal or a drink. The spa offers body treatments, such as massages, sweat lodge treatments and Mayan therapies. Ana y Jose is a beachfront boutique hotel in Tulum. The 21 rustic suites are spacious and individually furnished with all mod cons, including WiFi, coffee machines, minibars and air-conditioning. The upgraded suites have a private plunge pool and hammocks on the terraces. Beautiful Mexican design touches, fresh flowers and natural papaya bath products all add to the sensual experience. The restaurant that sits on the sand, serves a selection of local and international dishes. The hotel boasts a number of pools to enjoy, as well as a spa with massages treatments and hydrotherapies. Transfer from your hotel to Cancun Airport. This is where your tour ends. You may wish to add on some additional time in Cancun or visit Central America. 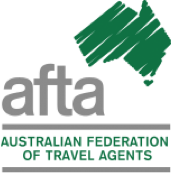 Our expert travel consultants will be able to tailor this itinerary to your needs. Call 1300 784 794 or email contact@satc.com.au for a quote.